Are we losing straight white men from the cause by calling them “straight white men”? Friends or generic white men? “I thought you saw me as a friend, not just some generic white man.” When I received that text last week I was baffled. Baffled for several reasons. My first thought was “are they incompatible?” because, realistically the sender in question was both my friend and a white man. The more I thought about it though I realised that by the use of “generic” this friend of mine was alluding to something more … that he wanted me to separate him from the “common white man bad-guy” trope I must have in my head. That our personal relationship should have proven to me that he is much more than “generic white man”. His placing of “friend” and “generic white man” in opposition revealed also his sense of hurt. Hurt that I could see him as something less than a multi-faceted individual and that I could put his actions/words down to an identity he occupies rather than any other thought or motivation. Now, honestly, I had two contradicting reactions to this. One was to feel bad, and the other was to feel irked and misunderstood. I felt bad that my friend thought I had fobbed off critical engagement by calling him a “white man” – but after I had apologised for doing so, I felt frustration at having allowed him to believe that because of our friendship he need not acknowledge his place as a generic white man. These conversations are tricky and uncomfortable. Other of my white male friends have voiced to me that their fear of being called a “straight white man” has sometimes prevented their honest disagreement or desire to learn about feminist or other issues. This saddens me. Has being a ‘white man’ really become such an unfashionable thing? Are we losing white men from the cause by dismissing their views with this easy mouthful? I’ve have thought on it long and hard and truly tried to see both sides, but the answer has to be no. 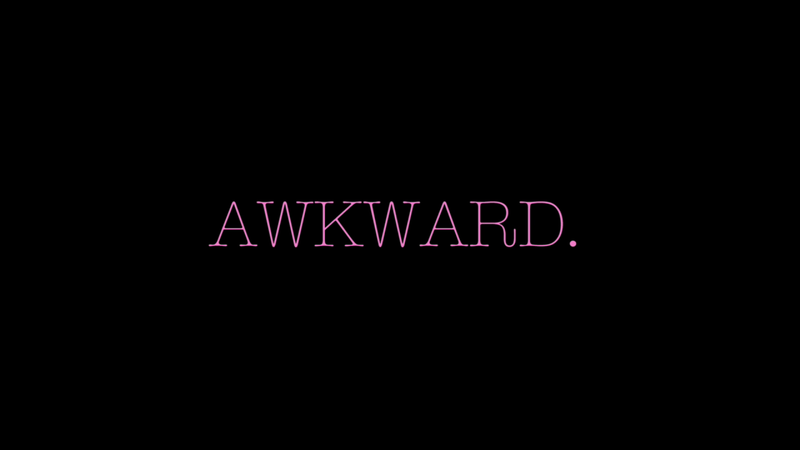 In the first place I think there is simply a question of awkwardness. No one likes to be categorised with their entire “group” of people, but now that it’s happening to white men especially – they don’t like it. I’m not surprised, no one likes their actions being put down to their identity rather than personal motivation – but the point here is that when people call “white man” to counter white men’s arguments, they actually do have a point. It actually is relevant that the person’s identity is that of a white man. Not because that identity automatically explains their viewpoints or tells us about the detail of their life and choices, but because what we’re saying is that their identity places them in a position of privilege. That their point of view and experiences – no matter what other economic, social or other disadvantages they face – come from a position that has not experienced racist or misogynistic oppression and takes being able to be an “individual” for granted. This fact does not nullify or undermine their own experiences or viewpoints, or the fact that yes, patriarchy harms men too; but it acts as the lens through which they view the world. So the times at which people angrily bring out the “but straight white man” clause are the times when a debate is not reaching understanding – the times when due to their positions of privilege, people whose identities are such seem to be completely missing the point. There is even more to this though. Various people state their hatred for “white men”. Now, this group are not in fact made up of “generic white man”; this group is sadly made up of every white man ever. This may seem a disgraceful and harmful generalisation, how dare I paint all white men with the same brush? Poor white men, gay white men, disabled white men. Well, because despite the other oppressions or hardships they have suffered, they all occupy positions of relative power that women, nonbinary people and people of colour do not. But it’s not a competition, so yes, a woman of colour who lives in a home is seemingly much more “privileged” than a white man sleeping rough on the street every night; but this is economic privilege, it doesn’t nullify the fact that as a white man he is still less likely to be sexually harassed than she is, he is less likely to be stopped-and-searched by the police because of his race, when he is in a group situation he is more likely to be listened to because of his gender, his homelessness won’t be put down to his colour… the list goes on (see Peggy McIntosh’s now famous piece on daily effects of white privilege). It is no wonder that these facts are taken as jibes though, because “it’s not their fault” that they are white men. But listen, no one said it was your fault, they simply said that you benefit from these privileges whether you realise it or not – and it is your fault if refuse to become aware of that. From my own exchanges with white male friends, it seems that the debate has been completely reduced. Privilege is accepted – of course – but no one wants to admit their personal privilege, and even if they do experience personal privilege why should that invalidate their views? The thing is, I don’t think people use “white man” to invalidate white men’s views; they use it to signify why they don’t want to spend time engaging with them. Now, I have been told that this is unfair. Unfair to men who want to be critically engaged with and want to be educated on/learn about what all this opposition is about. Some days I see the merit in this argument. Some days I can bring my head above water and try to explain from the very beginning; but other days I simply cannot. I’ve realised that what can seem callous, or lazy, or rude to many white men is this reaction. The reaction of negating debate, or dismissing their view by calling them a “white man” and then leaving the thread. Whilst I see it from their angle, I also see it from mine. It is not lazy. It is not callous. It is not rude. For a first, it is not anybody’s responsibility to educate anyone else. Of course, we all probably want to help our friends and peers understand the struggles of the more disadvantaged in society, but when you begin to be assailed and not challenged but criticised for your view, it can become a drain. Not a drain because arguing is draining, but a drain because it is a debate about something that is real to you. It is a debate about your life experiences – but to the one challenging you it is much more abstract. This is the drain. I give this backstory because this is the backstory to “UGH [generic] WHITE MEN”. This is the backstory to people not engaging white men. It comes from overlapping crises but also from a growing confidence. Those who are not white men are no longer looking for validation from white men. When someone says “UGH WHITE MEN” they are articulating the pain and frustration that comes with having to engage with or educate someone who holds multiple positions of privilege on a point of real life experience which should not have to be put up for debate in the first place. They are voicing anger that many white men engage in debate before appreciating that there may be somethings they haven’t fully considered, or some experiences they cannot understand. They are symbolising deep-seated anger at both individuals and a system of oppression. Anger that whilst they are drowning, someone on the shore is speculating whether the water is really that deep at all, or why they never learnt to swim, whilst simultaneously saying “it’s not my FAULT I’m on the shore! jheez”… Anger that white men are making it about them. I think the anger that white men are facing – the seeming injustice of not being engaged with, of being dismissed and being left out of a “movement” simply because of their identities as white men; is in itself revealing. When people say “ugh white men” they are referring to the fact that many white men take for granted their positions of privilege. Is there not something ironic about the fact that white men are getting annoyed that they are not being allowed a voice on issues to do with women or with people of colour? That they are not being allowed a main place in the “movement” or the debate? Does this not reflect the very privilege itself – a privilege of being used to being included, being used to being the voice of validation, being used to putting things into abstraction? When you ask me whether I see you as a friend or a generic white man, you ask me to overlook the positions of privilege you hold. You ask me to be complicit in the awkwardness you feel around the new consciousness of your identity. You ask me to be silent about the ways you are complicit in the oppression and marginalisation of women and people of colour. You ask me to be complicit. We are not losing “white men” from the cause by calling them such. If the term offends them by causing them to reflect on or acknowledge their positions of power then the chances are they weren’t in the movement to start with. If they acknowledge that they are not in the movement yet but want to be, it is no one’s job to educate them. White men, this time it is not coming to you on a platter; find out about your own privilege. Don’t deny it, don’t be scared by it. No one is blaming you but no one has time to explain it to you either. There are far bigger fish to be fried and I think, if you acknowledged that too, then really you would be able to have a voice at the table. The deal is simple I suppose – acknowledge your privilege and you’re in on a wave that is shaking things up; see every “UGH WHITE MAN” as a personal insult and you keep the ball in your park, you keep the structures safe and you keep it all about you. You are both my friend and a generic white man. When you ask me to ignore one for the other you deny me my experiences and you sell yourself short. White men, stand up, stand back and join the cause.